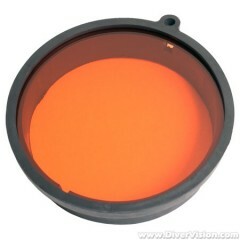 Enhances warm reds and oranges with available sunlight up to 80' (24m). Secures to the outside of the Ikelite lens port offering easy installation and removal. Included with all video housings.